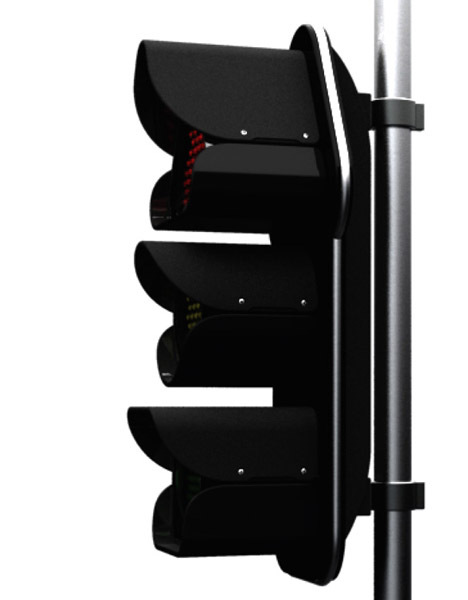 In some cases, a stop light is obvious – it sits above ‘caution’ and ‘go’ in a normal street signal … or we simply select the right color regardless of other atypical factors. However, the exceptions to this design standard norm can be perilous in the case of colorblind people who cannot see the red, orange and/or green differentiations. This is one of those urban planning elements we all take for granted, but at a potentially costly loss of personal security. The solution is as simple as elementary geometric shapes: triangle for stop, circle for caution and square for go perhaps? It is not the specifics that matter, but standardization: just like countries shifting (though the USA continues to lag) to the metric system – painful perhaps in the short term, and certainly not cheap, but with long-term safety benefits to society as a whole. 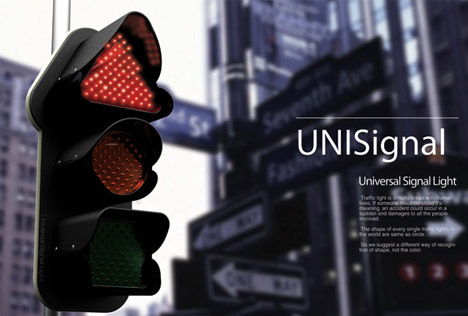 The Uni-Signal is a proposed redesign by Ji-youn Kim, Soon-young Yang & Hwan-ju Jeon (via YankoDesign) for one of the most universal elements in the world, yet one which was never designed with color vision issues in mind. 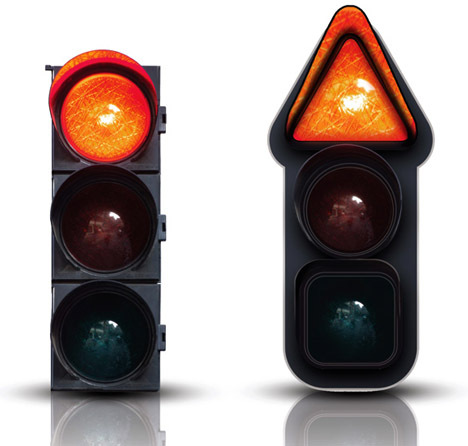 Who knows how many crashes per year this could help prevent if it were present at intersections the world over.